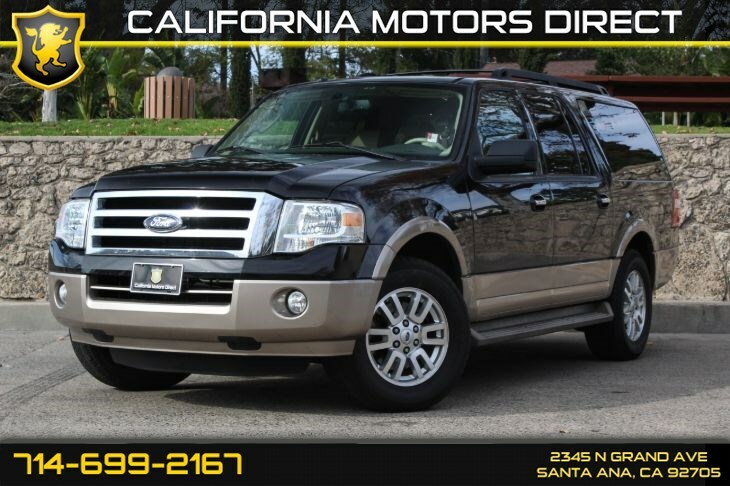 The 2014 Ford Expedition is a full-size, traditional body-on-frame SUV available in two body styles: the regular Expedition and the extended-wheelbase Expedition EL, which is 15 inches longer overall. The XLT comes standard with 18-inch alloy wheels, automatic headlights, foglights, running boards, a roof rack, rear parking sensors, heated mirrors, integrated blind-spot mirrors, power rear-quarter windows and keyless entry (both remote and door-mounted keypad). Inside you'll find cruise control, air-conditioning, cloth upholstery, a six-way power driver seat (manual recline), power-adjustable pedals, a sliding and reclining 40/20/40-split second-row seat, a fold-flat third-row seat, a leather-wrapped tilt-only steering wheel, an auto-dimming rearview mirror, Ford's voice-operated Sync System (includes an iPod/USB audio interface and Bluetooth phone connectivity) and a six-speaker sound system with a CD player, satellite radio, an auxiliary audio jack and rear audio controls. The Ford Expedition comes standard with antilock disc brakes, stability and traction control, trailer sway control, front-seat side airbags and full-length side curtain airbags. Ford's programmable MyKey system, which allows parents to specify maximum speed limits and stereo volumes for secondary drivers, is also standard. Rear parking sensors are standard across the board, and the Limited and King Ranch also have front sensors. Overall this vehicle is ideal for all drivers so come on by and see it in person you won't be disappointed !! !